For busy CEOs, summer vacation is a chance to get away and recharge. 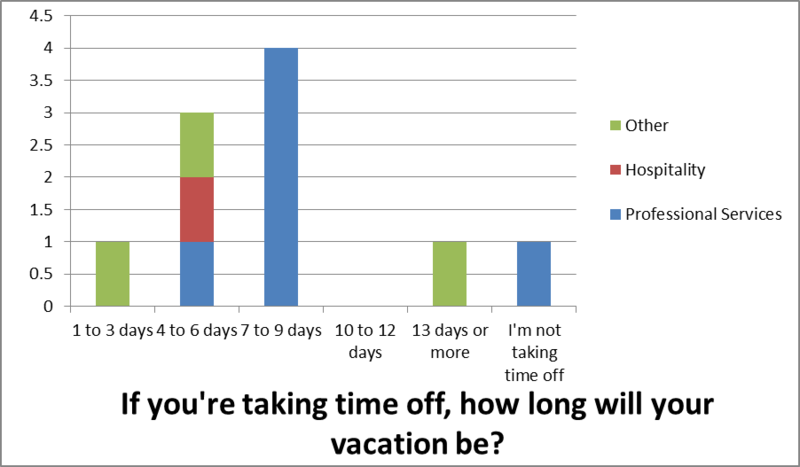 With the summer travel season officially kicked off, CFO Strategic Partners asked about vacation plans. At CFOSP, we tell our C-level partners that it is critical to step outside the business so they can bring renewed vision to their companies. The survey had mixed results. 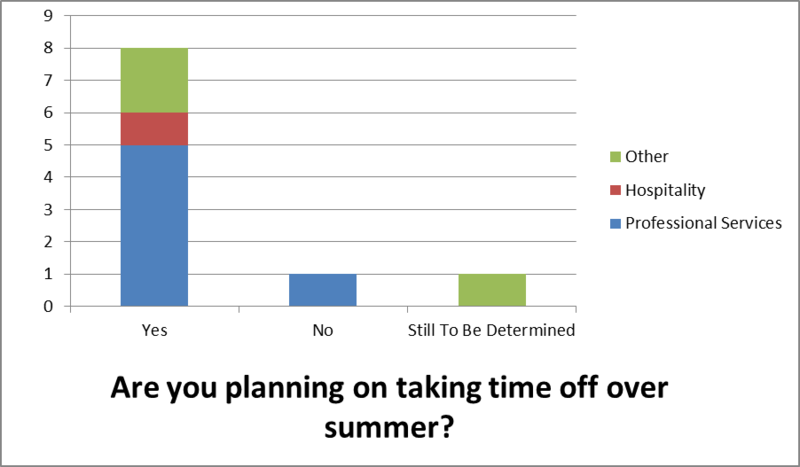 Most respondents planned on at least a week away. Others will sneak away for long weekends. A lucky few were planning trips of two weeks or more. 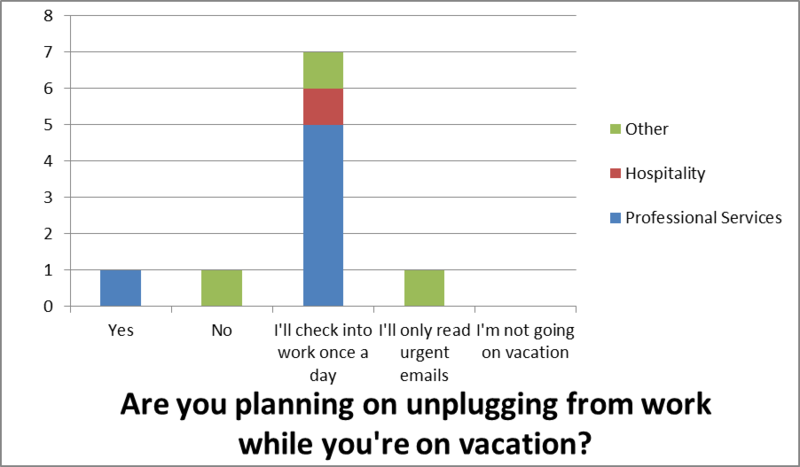 A clear majority of business leaders will check in once a day while on vacation. 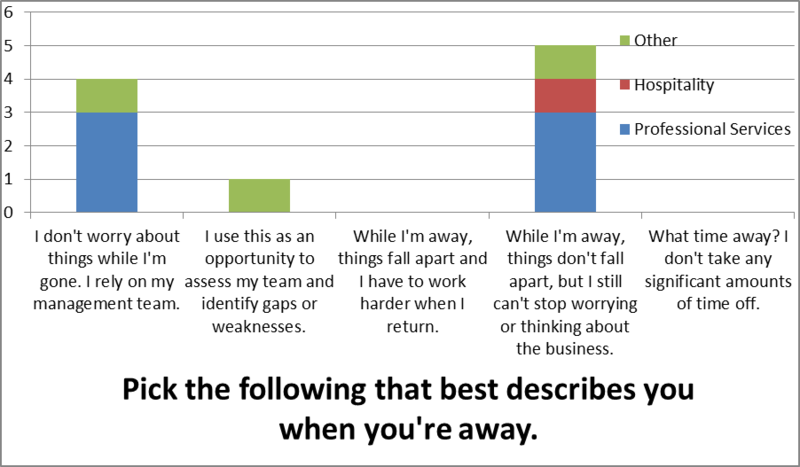 Also, a slight majority still worry about business – even though they trust the management team will not mess it up. For a more detailed breakdown of survey answers, see the charts below. We have an important recommendation – relax, you’ve earned it! Your business will be better for it.